This scenario has been repeated in various forms. some times in the scenario the person is a woman at other times a fellow scientist. There are no confirmed or documents of the scenario available to the public so, it is assumed that this scenario is less fact and more of urban legend or myth. 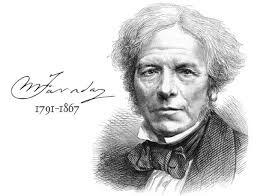 What is documented and a fact is that, Michael Faraday did make major contributions to electromagnetism and through his work, made it possible for science to understand how to generate and harness electricity! That is some big deal science right? I mean think about all the things done with electricity. It wakes us up in the morning heats cools our house and saves live. Ever hear of an defibrillator. In the urban legend Faraday didn’t know exactly how but he knew that the electromagnetic principles he had discovered, were really important. He knew that these toys which demonstrated the principles were full of possibilities. It is Monday and we will be involved in many mundane events at work. Take note today and everyday when using our mundane toys not to overlook the possibilities that there are or could be.